Robert Redford usually draws media attention for his annual Sundance Film Festival in snowy Park City, where despite the accumulation of Hollywood hype he continues to champion the art of filmmaking. Less often remarked is his other great passion: the art of activism. Recently, Redford decided to make the Bay Area a new hub for his continuing work as a defender of social justice and the environment. Given the legacy of progressive politics in this region, it seems a natural choice for his new Redford Center, located in the heart of downtown Berkeley. 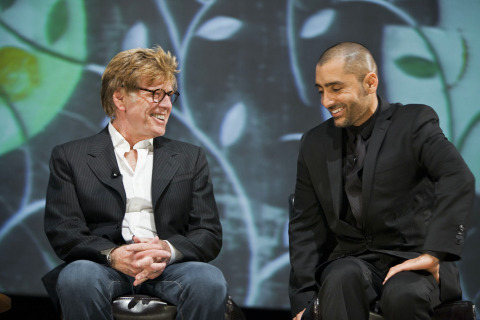 Earlier this month, during the center’s inaugural event at the Sundance Kabuki Theater in San Francisco, Redford honored two accomplished community leaders. Victor Diaz, the principal of Berkeley Technology Academy, spoke with a quiet kind of ferocity about his efforts to help at-risk minority kids get a better shot at education. Also impressive was teenager Avery Hale, who at age 13 started a project to deliver shoes to impoverished children in villages in Latin America and beyond. Combating global climate change is a complicated matter, to say the least, but I suspect that most people, attendees of G-8 summits included, would view the imperative in a whole new light if they were to witness the ecological devastation hitting this breathtaking region of the Mountain West. The fallout can be seen in the lush forests ringing Medicine Bow and other majestic snow-capped ranges in the area and in nearby Colorado — in the bleak, sprawling signature of an ongoing bark beetle epidemic. Warmer winters and drought in recent years allowed the insect population to explode, bringing destruction to more than 1.5 million acres. For several years now, it hasn’t gotten cold enough. Some other forested areas I saw last week in the vicinity of Medicine Bow (especially at lower elevations that stay warmer) are already riddled with dead and dying trees. The friends I was with, who’ve been coming to the area for the last decade, described the accumulating damage in dramatic terms — some pristine expanses that existed just a couple of years ago won’t be seen again in our lifetime. It’s hard to know how bad it might get (it’s already bad), or whether anything can actually be done to slow or stop this particular disaster. But it’s one stark example of what climate change can bring, and why we have to pay attention. Over the weekend Timothy Egan argued that Michelle Obama should throw her political weight behind America’s increasingly marginalized national parks. Egan’s perspective was more cultural than environmental, but from what I saw in Wyoming, there’s no lack of pressing reason on the latter front, either.